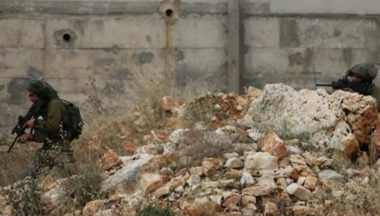 Many Israeli military jeeps invaded, on Thursday evening, Sebastia town, north of the northern West Bank city of Nablus, and attacked protesters, causing many to suffer the effects of teargas inhalation, in addition to assaulting several residents. Mohammad ‘Azem, the head of Sebastia Town Council, said the soldiers fired many live rounds, gas bombs and concussion grenades at Palestinian youngsters, protesting the invasion. He added that several Palestinians suffered the effects of teargas inhalation, while many others suffered cuts and bruises after the soldiers assaulted them with batons. The Israeli army also closed the archeological site in the town and prevented the Palestinians from entering it.